Make that statement right from the entry. Suit your style with sleek contemporary “glass and steel” look, or opt for any variety of our executive office reception desk products. Build out your space for meximum utility. Choose your workstation height to serve your office communication style. Mix-match heights as per department. 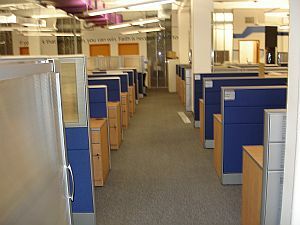 Outfit each cubicle with similar or varied office storage cabinets, shelves and drawers. 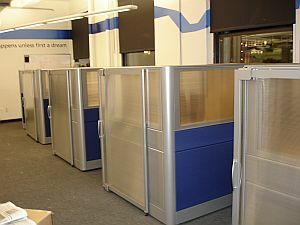 It's not only colors and carpets, it's making an office that functions efficiently and effectively. 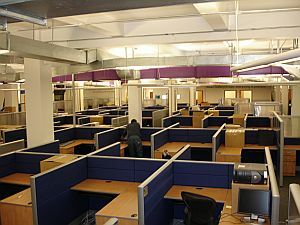 Tell us what's important in your office cubicle or office space design and we'll work with you to make it happen. Team management is key. The backbone of your business is building the interfaces that suit your office workplace style and staff functional roles and office furniture requirements. 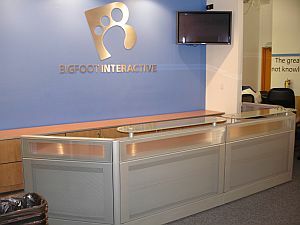 We can put together the package you need to make the office you need.